I’m trying to make 2019 a year in which I simply the grocery shopping process. I am not a fan of grocery shopping. I love to cook and don’t mind meal planning. But I don’t like to grocery shop. I’ve tried Click List (the “order online and pick it up in the parking lot” process) and while I’ve been relatively happy with the results, sometimes I just want to take a look at the food before I buy it. Know what I mean? I like to know how much fat my roast has or how ripe my avocado is before it comes into my kitchen. And then I learned about Kroger’s Scan, Bag, Go. 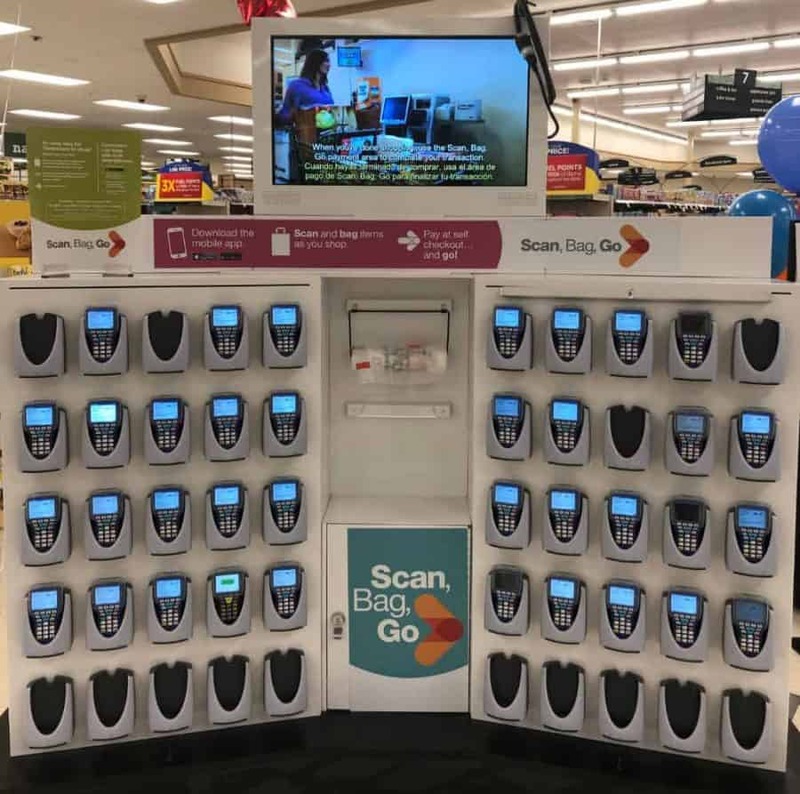 I recently read a post from my friend Tricia’s blog which talked about her experience with Scan, Bag, Go at the Sharonville Kroger. 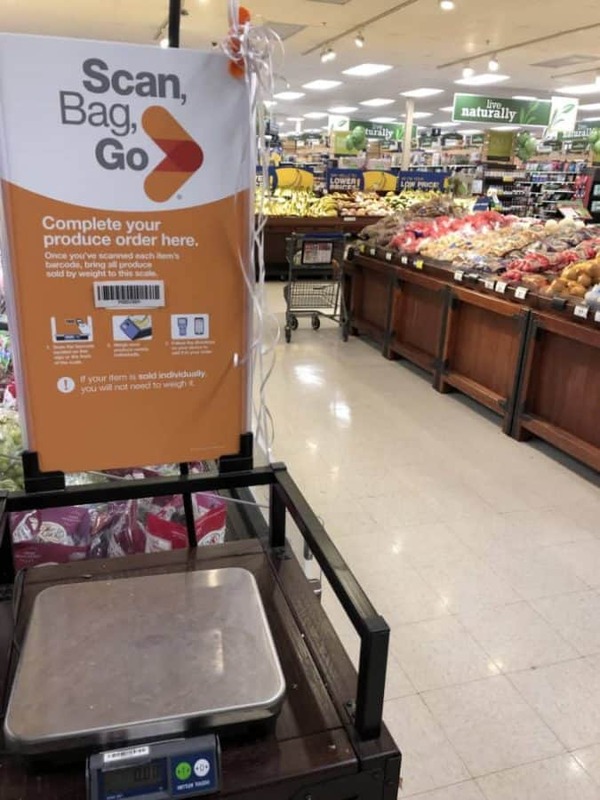 Knowing that I need an alternative to my grocery shopping process I thought I’d give Kroger’s Scan, Bag, Go a try. 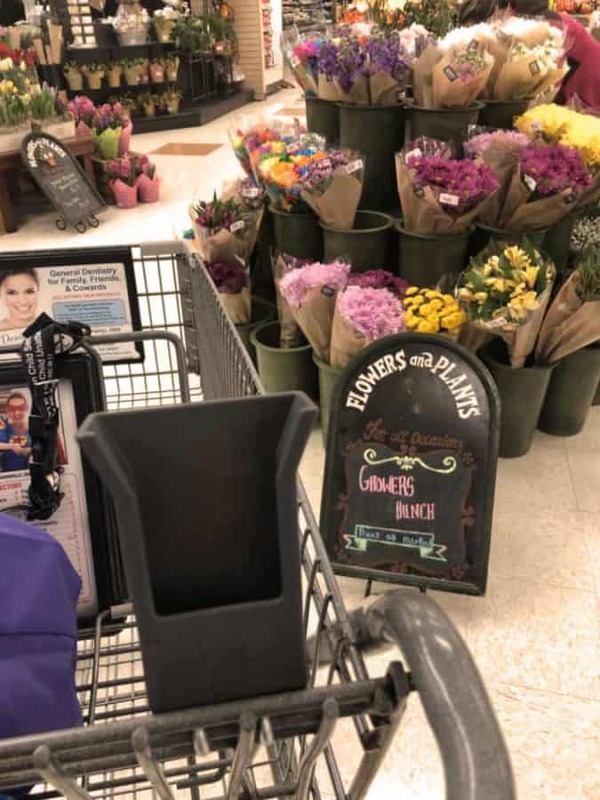 Would it make grocery shopping more enjoyable for me? I headed out to the Sharonville Kroger to find out. I should mention here that not every Kroger location has Scan, Bag, Go. I specifically went to this Kroger for it. I entered the Sharonville store and immediately saw the scanner station. I walked up, picked up a scanner, and then watched the short instructional video. The video really did a good job of explaining how it works. I felt confindent! Following the directions on the scanner, I scanned my Kroger card and headed into the produce section. I gotta’ admit, the produce section took me a LONG time. There’s definitely a learning curve in the produce department. BUT now that I’ve done it once I know subsequent visits will be MUCH faster. Produce is tough because so much of it needs to be weighed. 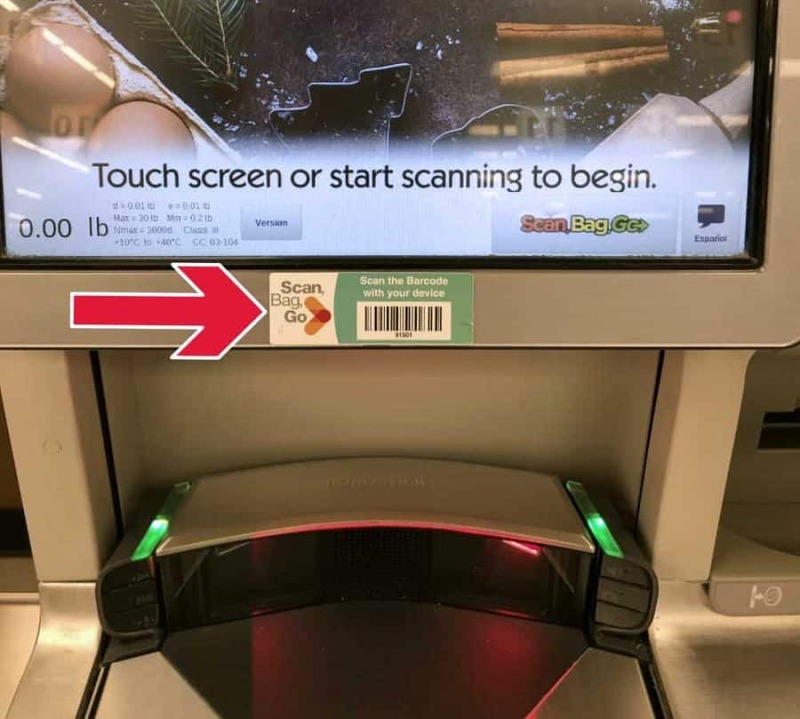 If you were paying at the self scan register, you’d scan it and weigh it and bag it. But you don’t have a scale right there with you when you use Scan, Bag, Go. The process I perfected was to put the items I didn’t have to weigh (a box of cherry tomatoes, oranges sold by the piece, etc.) straight into my bag after scanning. I also scanned all the produce that needed to be taken to the scale BUT I put that in the top basket of my cart for easy access later. After I had ALL of my produce scanned, I headed over to the Scan, Bag, Go scale. I’d kept everything I needed to weigh in the top basket of my cart so I was ready. And it really was much easier than I thought. The scale has a simple set of directions there for you. Start by using your scanner to scan the barcode you see at the scale. The scanner will then tell you what to put on the scale and when. For example, if one of your scanned items is bananas it will tell you to put bananas on the scale. It weighs your item, you approve it, and you put it in your grocery bag. On to the next item! After I was done with the produce the rest of the trip was a breeze. In the rest of the store you just pick up an item, scan it, and bag it in your cart. Want to price check? Use your scanner. Want to remove an item? Hit “remove” and scan again. 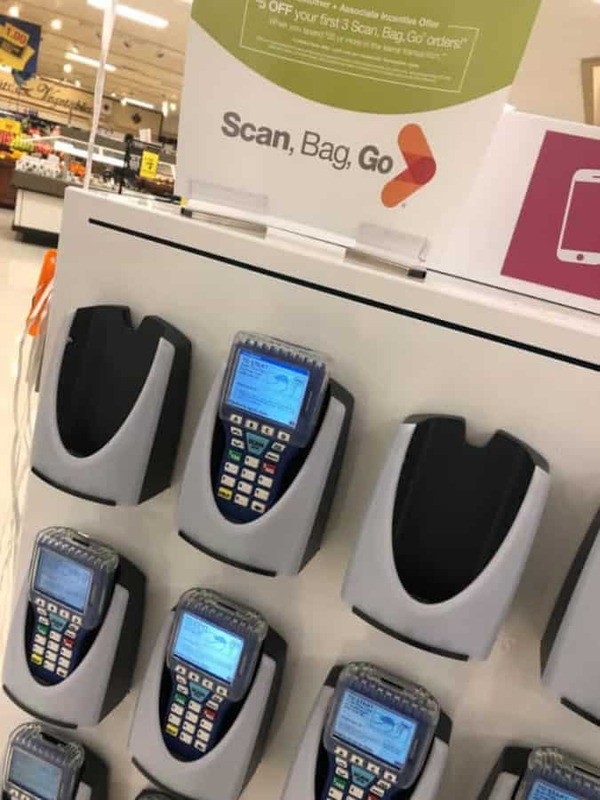 How Do You Pay When you Scan, Bag, Go? I approached the registers, not quite knowing what to do here. 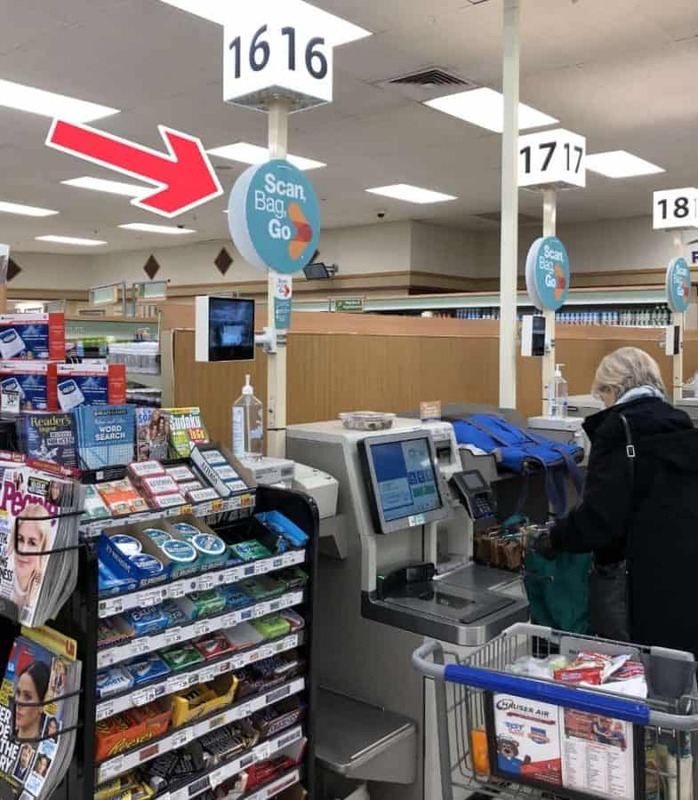 I noticed that the self-scan registers had a Scan, Bag, Go sign above them so I headed over. And I was happy to see some instructions that made it was quite simple from there. I’ve read that you can also pay with your phone (and skip the register part altogether) but I did not try that…. yet. Following the directions, I used the handheld scanner to scan the barcode at the register. My order started to populate on the register. After I checked out the discounts on the items I had questioned earlier (which rang up correctly I should add), I paid just like I would with a traditional trip. They have a scanner station at the registers where you drop off your scanner before you leave. Best part for me? My groceries were bagged like I want them to be for easy unloading (and to keep those precious bananas from being crushed by a can of soup!). Will I do Scan, Bag, Go again? Definitely! 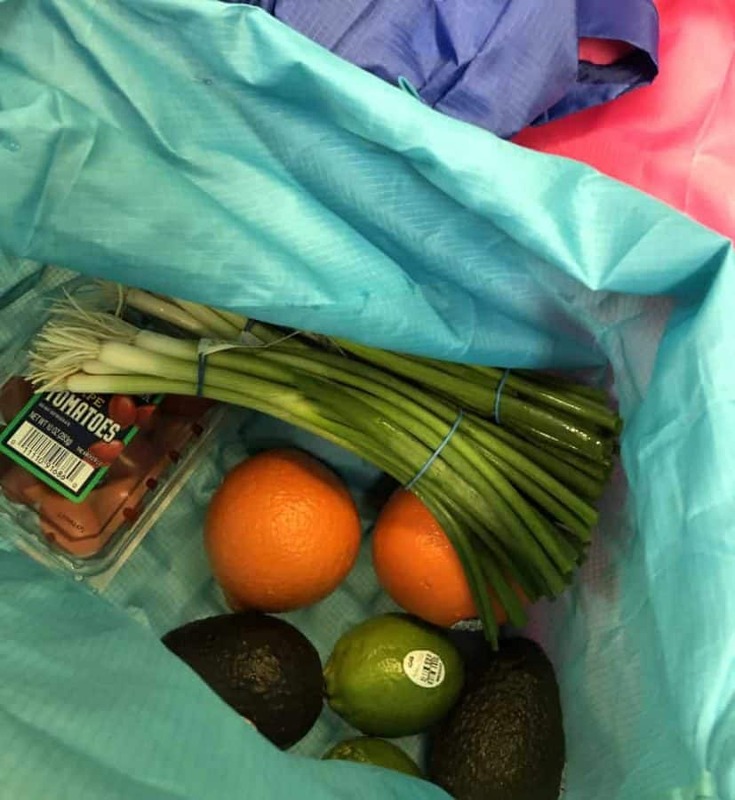 Take your own grocery bags (here’s a link to the grocery bags I LOVE, in the pictures – that’s an Amazon affiliate link). Kroger does have some plastic bags available at the scanner station but it was really nice to have my own bigger, sturdy bags. Choose a cart with a Scan, Bag, Go scanner holder. It makes shopping easy. You can scan the bar code on the pricing sign. 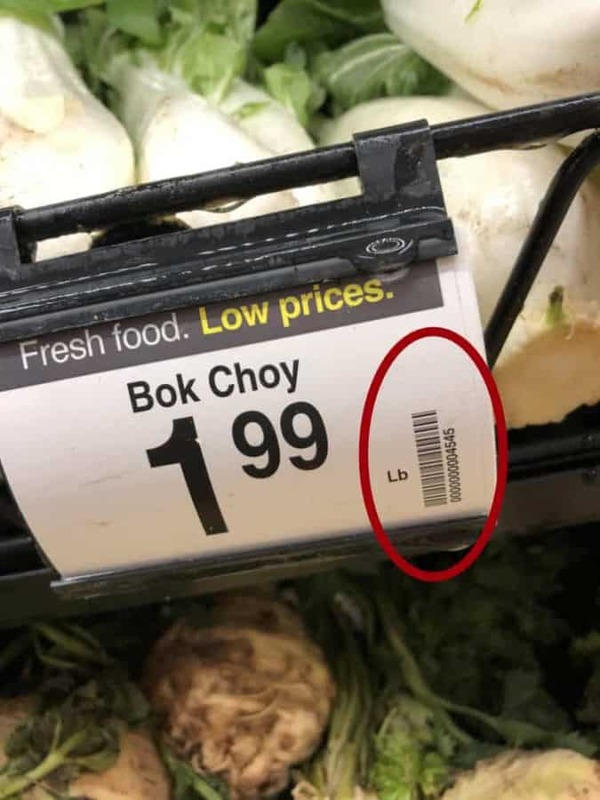 This is especially helpful in the produce section. Honestly, I scanned all of the signs after I got going as many of those little produce bar code stickers wouldn’t scan. Keep the produce you need to weigh in the top basket of your cart for easy access at the scale. The scale will ask you to put items on it by name and it makes it easy to pull things out of the cart. You can watch your item price as you scan it at the shelf (I LOVE that feature). AND the total of your order shows on the scanner! 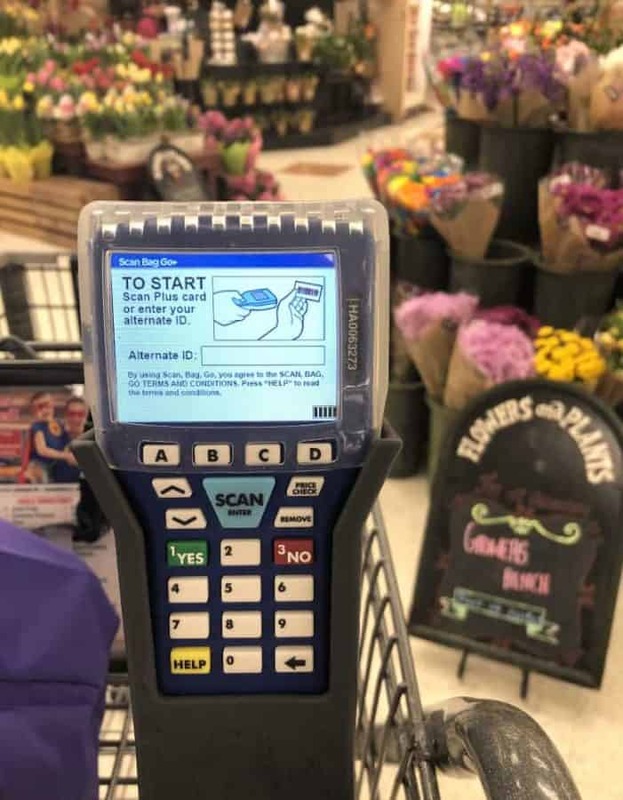 Some of your Kroger Deals will not come off at the scanner. Be sure to watch for the discount on those items when you pay at the register. I had a few different things that scanned at full price on the handheld scanner but the price came off at the end at the register. I just set those items aside in my cart to be sure the discount got applied at the register. From what I understand (haven’t done it myself), when you scan your order in at the register the cashier/helper will come over to assist with coupons. Hope that helps! Paper coupons have to be scanned by a kiosk attendant, same as before. SBG is a game-changer! I strongly recommend you try the phone app, which allows you to use your phone as a scanner, and also presents your order in a much more user-friendly manner. More importantly, you can set up payment through the app and never have to swipe your card again. That’s the real time-saver, IMO. SBG isn’t perfect, though. Items may not always scan, and that forces a trip to the kiosk to have the item scanned by the attendant. Same thing with paper coupons. Also, for the time-being, you don’t get a paper receipt if you pay by phone, so if you’re used to those extra fuel points you get by taking the online survey, you’ll give those up. I’ve talked to Kroger and they said they’re working on a way to include the online survey in a future upgrade to the system. GREAT tips! Thank you, Ryan! I will definitely try my phone next time.